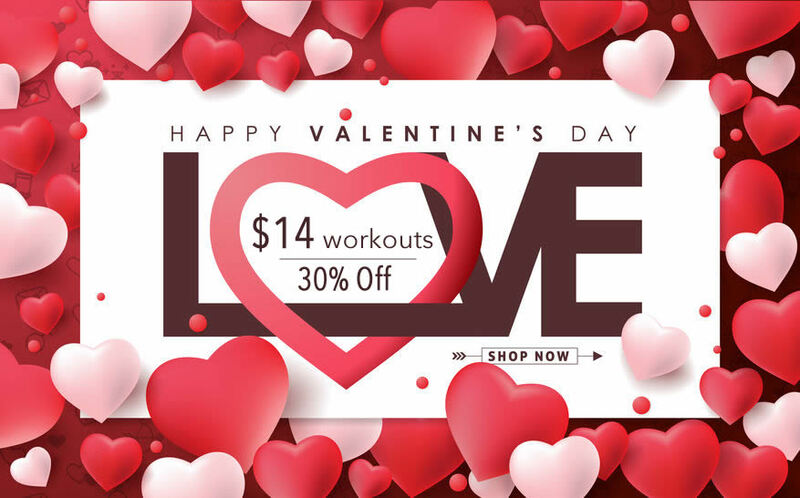 Valentine Special – $14 Workouts – Oxycise! Here’s a sweet “Valentine” message from Leslie, an oxy-friend who fell in love… with Oxycise! 1. The exercises are wonderful. I feel so energized. It took me a couple of days to feel that I could really coordinate the breathing and the positioning. But it’s becoming a much more natural feeling already. 2. I had tried another breathing exercise program but it was way too noisy! One of the first days I did that program, one of my daughters woke up and came running out — she thought I was choking and dying. Oxycise! gives me an excellent workout and it’s nice and quiet! 3. I can do Oxycise! at anytime, anywhere and no one needs to know. I frequently do positions while I work on the computer. 4. I noticed after the first few days of Oxycise! that my abdominal and buttock muscles were really sore! Oxycise! gives them a great workout — better than the other exercises I have done. Since adding Oxycise! to my day just one week ago, I have lost 2″ around my waist! It’s much easier for me to hold those muscles in throughout the day, too. 5. I think Oxycise! also really energizes me for the day. I have so much more energy than before. 6. I have also noticed an improvement in my posture. I think some of this is due to the tightening of those muscles used in standing tall through Oxycise! and some through just becoming more aware of those muscles. 7. I’m closing in quickly on 50 and have been feeling my age in my joints. Therefore, it was very important for me to have an exercise plan that was easy on my joints — not a lot of jumping around, etc. Oxycise! is terrific for that. It is gentle yet strenuous at the same time — you really feel like you get a good workout. I like the way Jill demonstrates how to modify the positions if you have trouble with particular joints. I can do all the exercises now but am pleased that it is a plan that can be modified to last me the rest of my life. 8. I love the Oxycise! Chart Your Success booklet. Really fun to fill in all the different parts — food diary, measurement charts, Body Mass Index, etc. I love the little increments you use for charting so that the feeling of success is easy to achieve! 9. I shouldn’t forget one of the best parts of Oxycise! — how little time it takes. I’m a single mom of two who works full time and my time is precious. Oxycise! takes just 15 minutes a day and I feel like I get an excellent workout. So it’s very time efficient. 10. I’ve been so excited about Oxycise! that I already ordered Level II. I’ve heard great things about it, so am excited to see it. Thank you so much for Oxycise! I absolutely love it and am very pleased with my results in just one week! This is a plan I will use forever! Thanks to Leslie and Happy Valentine’s Day to all of you!! Don’t miss out on $14 DVDs and MP4s for *almost* every workout in our library. That’s 30% off! See the eligible workouts here.